Our featured picture this time around comes from Aurora X5 Firefly’s first of two missions on June 26, 2011. This moment is a frame captured from the onboard video camera during mission AU-014. What you see is the booster section moving away from the top half of the rocket just after the parachute deployment charge event. 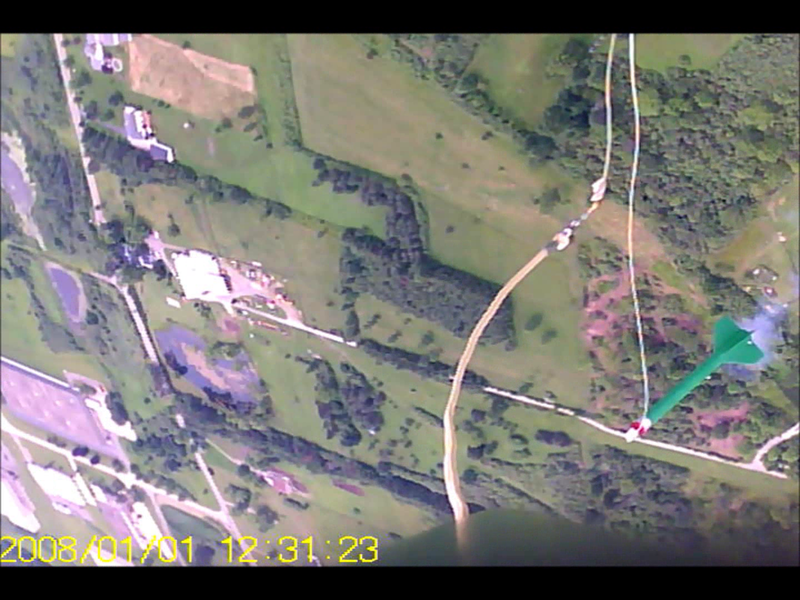 Aurora X5 Firefly at the moment of parachute ejection.